Hello! Today I'm going to share two cards I made for the Simon Says Stamp Wednesday Challenge. This week's challenge is "Anything Goes"...so I decided to go with a Fall theme. For the first card, I used an impression plate for the background, and then blended some Distress Oxide inks onto a die cut circle (partially altered) to create the sunrise. 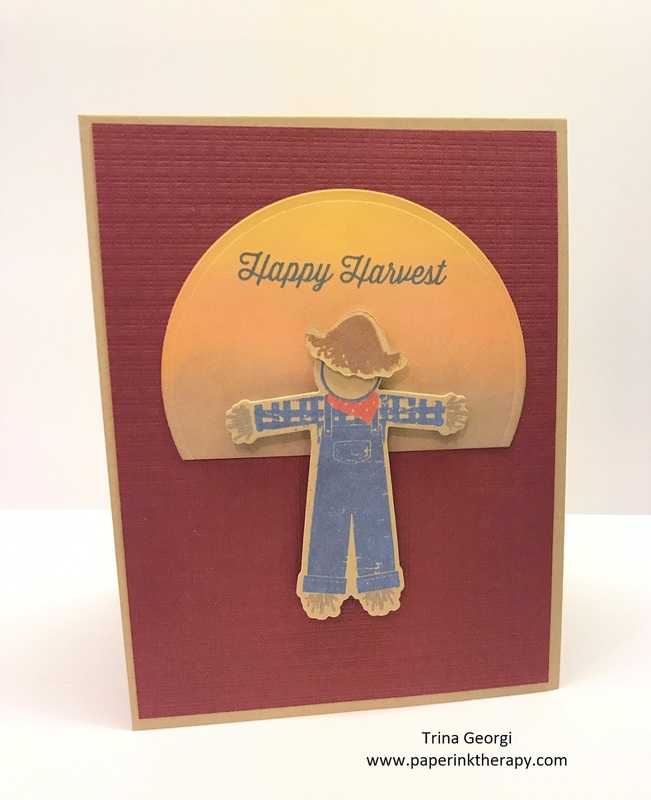 The scarecrow and "Happy Harvest" are all from Wplus9. 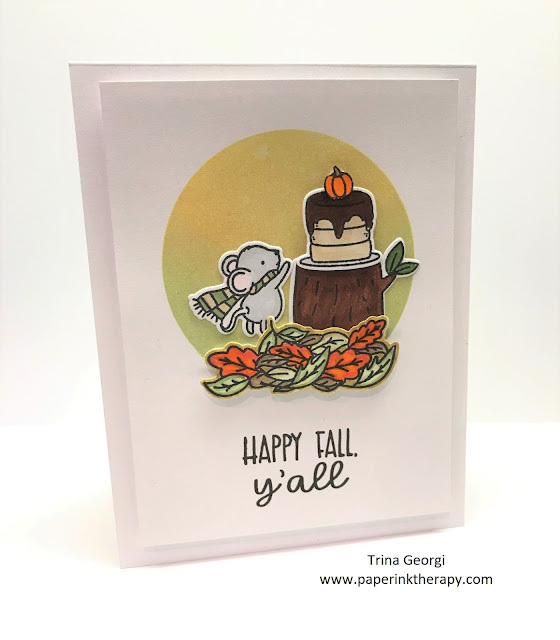 The next card was made with the stamp and die set, "Hello Pumpkin" from Neat & Tangled's STAMPtember limited edition set from Simon Says Stamp! - I used this set for the last card I posted, and honestly, I find myself wanting to use this all the time...it's soooo cute!